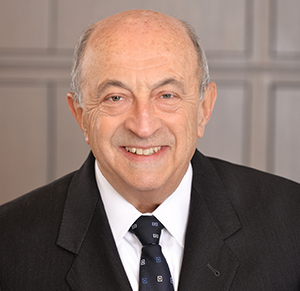 Marc J. Sternbaum - Rennert Vogel Mandler & Rodriguez, P.A. Marc J. Sternbaum is of counsel in the Real Estate Department of the firm. For the past 38 years, Mr. Sternbaum has specialized in all facets of real estate and mortgage law, including sale and acquisition of commercial properties for developers and investors; leasing of offices, warehouses and shopping centers; condominium and homeowners’ association documents, commercial mortgage loan transactions and documentation and the legal aspects of servicing mortgage loans in commercial mortgage-backed security (CMBS) pools, including loan forbearance and workout agreements, deeds-in-lieu of foreclosure, loan assumptions, lease approvals and other loan-related transactions. He is an experienced title examiner. Sale and purchase of retail, office, multi-family residential, office and land properties. Representation of local, regional and national lenders in the closing of purchase money, refinance and construction and development loans. Commercial leasing work on behalf of both landlords and tenants. Troubled loan workouts, loan modifications and deed in lieu transactions. Negotiation and documentation of loan forbearances, modifications, restructurings and deeds in lieu of foreclosure on loans totaling over $1 billion for a major CMBS special servicer. Representation of a lender in the closing of a multi-tier mezzanine and senior mortgage loan for land acquisition and development totaling more than $96 million. Representation of a major CMBS special servicer for the documentation and closing of a modification, recapitalization and assumption of a $210,000,000 mortgage loan secured by a multi-building subsidized housing project in New York City. Representation of a Canadian developer for over 13 years in its acquisition, development and sale of a 170-acre, high-density residential and commercial parcel in Miami-Dade County. Representation of a New York based real estate joint venture for over 5 years in its disposition of a portfolio of industrial, office and mixed-use land in planned developments in Weston and Boca Raton, Florida.